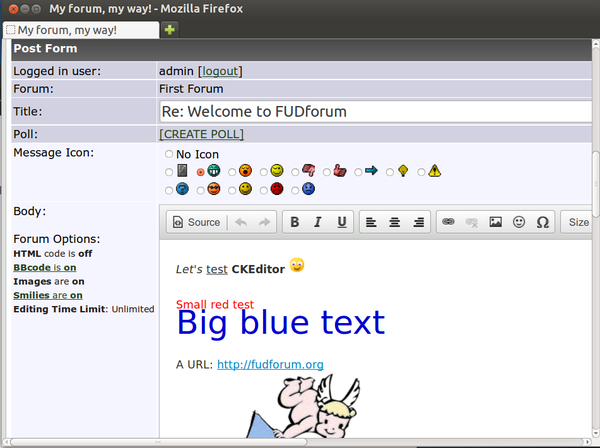 Ckeditor.plugin is a plugin that will allow WYSIWYG editing of forum posts with CKEditor. CKEditor is text editor designed to simplify the creation and editing of content. It brings common word processor features directly to your forum. 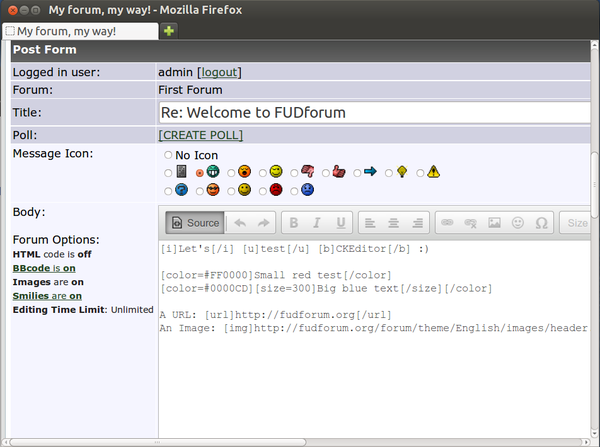 Note that FUDforum DOES NOT ship with a copy of CKEditor! You need to download and unzip it on your webservers or use a copy that's hosted on a CDN. Ensure the version you use includes CKEditor's BBcode plugin. Also ensure that the tag style matches that of your forums. This page was last modified on 18 August 2013, at 08:07.